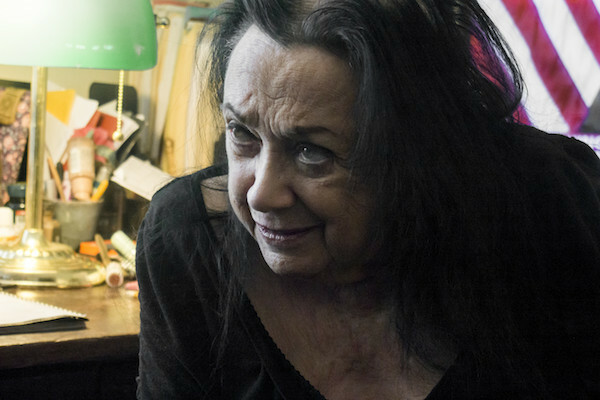 Judith Malina at the Lillian Booth Actors Home, Englewood, NJ, 2014. Photo: Gaia Squarci/Redux. JUDITH MALINA WAS INTENSELY COMMITTED to her vision of a better world, an avant-garde combatant who used words and gestures, a thespian agitator for the causes in which she believed. Although theater was her stage, she led her actors as a tribal family into a world of inequality and injustice where she was often ignored in the silences of the age or rebuffed by authority. I don’t believe I’ve ever met anyone so determined to make her voice heard, and I’ve rarely come that close to anyone quite so passionate, so brimming with the desire to cause change and affect consciousness. Artaud and her teacher Erwin Piscator taught her to stress the sincerity of the actor, who could become a semaphore in an age of denial. Julian Beck, her first husband, called it the “Ice Age,” and the late 1940s and early ’50s, when they formed the Living Theatre, was crowded with sleepwalkers. Judith’s purpose was to wake audiences with what Valeska Gert, another of Judith’s models, called the “unspeakable cry!” Whether she was harassed by the agents of legal systems in New York, Europe, or South America, or incarcerated for free expression on a stage, she remained resolute, ready to continue. To the end, she was an ideological warrior of song, dance, and poetry. Although I had been to the Fourteenth Street theater in the early ’60s when I was an undergraduate to see plays such as Many Loves (1958), The Connection (1959), and The Brig (1963), I got to know her better in the early ’90s when a poet named Ira Cohen persuaded me to write the history of her theater. Judith had read my book Naked Angels (1976) and admired The Solitary Volcano (1987), my biography of Ezra Pound. At that time, most of the Living Theatre’s archive was located in a small room off the kitchen in her apartment on West End Avenue and Ninety-Ninth Street. The claustrophobic enclosure—called a “maid’s room”—was crammed from floor to ceiling with filing cabinets and boxes. The furniture was sparse: a ladder, a small, rickety wooden table, an uncomfortable wooden straight-backed chair. The only sign of bourgeois comfort was a collapsed, torn, and weathered recliner. I spent a few years in this dusty room (and never found the maid). With the intuitive certainty of those who know their work will make a difference, Judith had saved every scrap of Living Theatre history, from newspaper accounts to playbills and postcards. This material is now contained in over three hundred boxes in the Beinecke collection at Yale University. In that sprawling apartment, Judith had also stored all the volumes of the daily diary she had been keeping since she met Anaïs Nin in 1950 and the twenty volumes of journal entries that her husband Julian had written before his death in 1985. Judith was willing to explain the significance of every detail, and my queries often led to ramifications and turns of which I had been unaware. My method was to slowly examine the archive, reading the journals that corresponded, making my notations. After a few hours of this process, I would sit with Judith in her living room asking for clarification. We were surrounded by Julian’s paintings—some hung on the walls, others stacked around the room. I often used a small tape recorder because Judith usually would be smoking marijuana, politely passing the joint to me when she completed her thought. In its way, this became the most stimulating research I would ever experience, an occasion where the flexibility of the mind might lead to fluency and insight. I saw her last on the margins of Manhattan in her basement theater on Clinton Street a few years ago, when she sponsored the memorial for Ira Cohen, the poet who had urged me to write her history. She was as responsible and bravely defiant as ever, still anxious about funding, concerned with issues of vitality and relevance, with the plays she was planning to direct, with the importance of keeping alive a theatrical company that could explore dissenting political perspectives—one that could hope to do more than merely entertain. John Tytell is a professor in the department of English at Queens College, City University of New York and is the author of, among many titles, The Living Theatre: Art, Exile, and Outrage (1995) and most recently The Beat Interviews (2014).